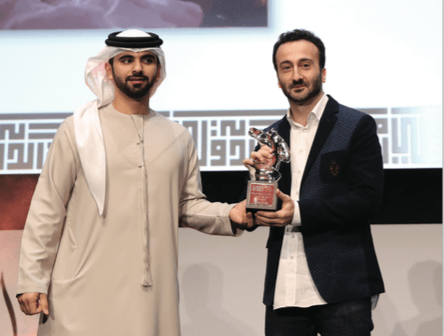 Premiering at the Dubai International Film Festival in December 2017, it won the prestigious Special Jury Prize Muhr Feature Award and is currently making its way around the global festival circuit. It had its US premiere at the Cinequest Film Festival in March, where it won the Cinequest Global Vision Jury Award, and later played at the Miami International Film Festival. The movie is set to screen at several other events, including the River Run International Film Festival in North Carolina, and at festivals in Egypt, Morocco, and Germany. It had a run in Lebanese cinemas throughout March and is playing in Dubai theaters in April. 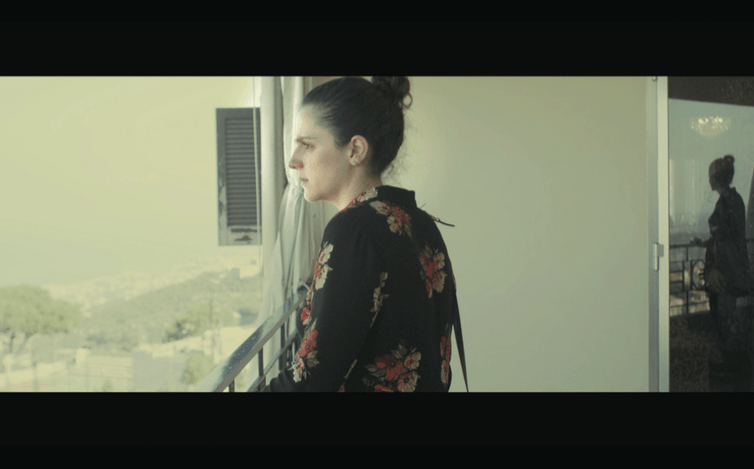 Despite its indie status, the relatable characters and situations, for the Lebanese especially, but also for international audiences, mean the film isn’t just for cinephiles. The engaging story is set in one house over one afternoon at Easter lunch. A large Lebanese family is reunited for the first time in two years, starting the feast with pleasantries and light-hearted banter. Between mouthfuls of tabbouleh, egg-tapping traditions, and power cuts, the family members reveal their differing views through funny and serious conversations on religion, politics, corruption, emigration, and financial struggles. Personal tensions begin to rise, and a mysterious incident plunges the group into an intense blame game that uncovers one can of worms after another. Family dynamics are very similar across cultures, and even though the movie explores lots of specifics about Lebanon, it also has universally relatable elements, such as a matriarch feeding her family, and a frustrated mother scolding a rebellious son. The film also touches on much more serious subjects like sectarianism, misogyny, and racism. Bourjeily explains that because many family members aren’t as honest as they should be with each other—in the film and in general—little things snowball into big issues instead of getting resolved. In a way, the story is almost an allegory of Lebanon. There is a lot of symbolism, as the issues of hypocrisy and facades can be expanded to a national level too. “Family is the first establishment in any society. And in Lebanon, if you start to understand their dynamics and what happens at the table, what’s spoken and what’s not spoken, you start to understand the ills of the whole country,” says Bourjeily. It took two years to make the indie movie, which is impressive given that, besides directing, Bourjeily also wrote the script, and produced and edited the film. But he is certain this was the only way to do it, or it wouldn’t have been made at all, arguing that if the project had a big budget, it would also have had interference from producers, and he didn’t want that for this story, so it risked not being made at all. “Between not making it or putting on different hats, I chose to put on hats,” he says. With Lebanon’s parliamentary elections around the corner, there’s also a lot of talk about an election in the movie and corruption in voting. Asked if this was put into the film on purpose, the political activist says, “We thought about the fact that it’s very relevant today.” He adds that he hopes, though he isn’t very confident, that the problems documented in the film will one day—in decades, if not a century—stop repeating themselves, which would mean we have learned from our mistakes. Likewise, he hopes the upcoming election will bring about some change. “Maybe new people will have a new perspective, but the old people have done so much damage to the country that anyone new will come in and have a collapsed country to fix,” he says, but adds that even a small change would be a good start. Ultimately, the film reveals a sad reality of Lebanon and makes viewers think about the future of our country, who we have become, how we treat our nation and each other, and why. Bourjeily began with the intention to create a story that makes audiences think, explaining, “I want people to discuss these ideas. My main aim is always to have a thought-provoking piece of art.” The director adds he wants people to examine their own family units for this kind of rot, and extend the analysis nationwide. It’s time to clean up our house.